Pumpkin is a seasonal staple all winter long. 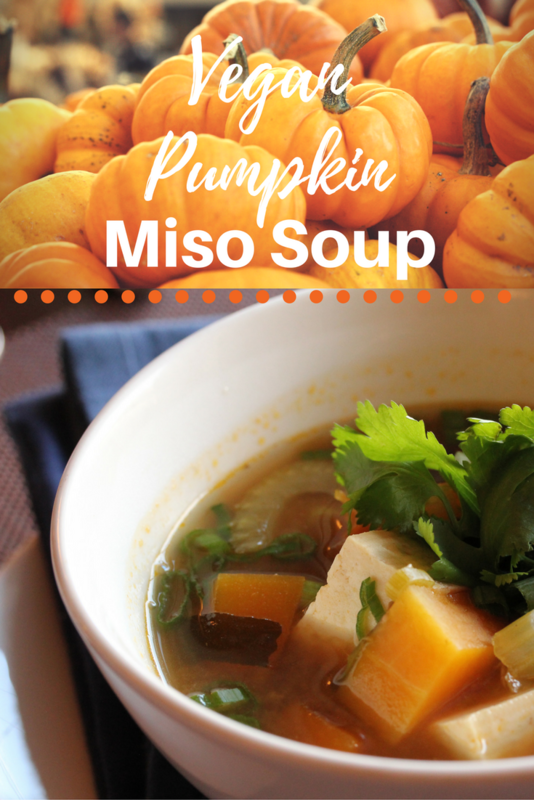 Here it is paired with miso soup for a perfect winter lunch or dinner. Saute carrots, onions, and celery in the sesame oil until onions are transluscent. Add the mushrooms, garlic and ginger and saute briefly until mushrooms are lightly browned. Add the water or vegetable stock, seaweed and the pumpkin and simmer for 15 minutes or pumpkin is tender. 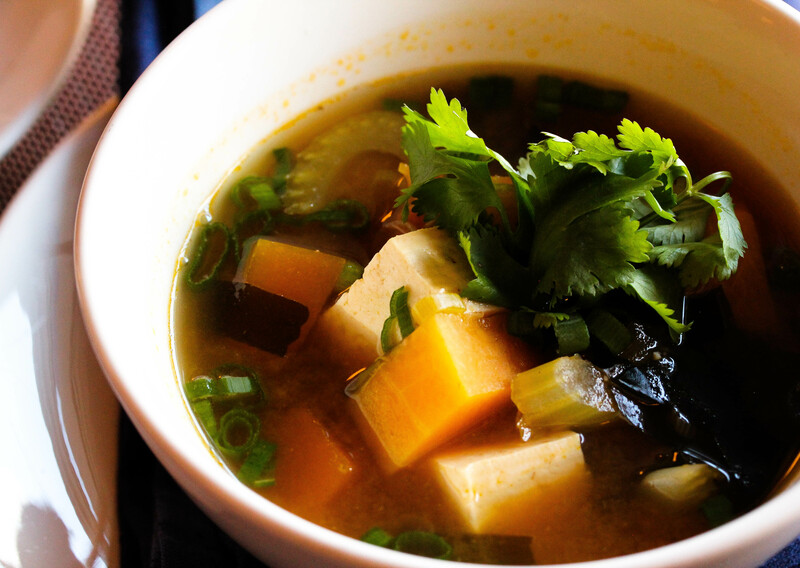 Remove about ½ cup of the soup liquid and mix with the miso paste until it is more or less dissolved into the liquid. Stir this mixture in the soup, add the tofu and season to taste with tamari and salt. Garnish with fresh herbs or chopped greens if desired.